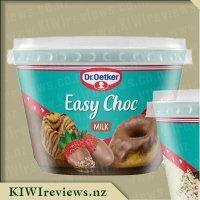 Dr. Oetker Easy Choc is a delicious, ready to melt chocolatey covering in a microwavable pot. 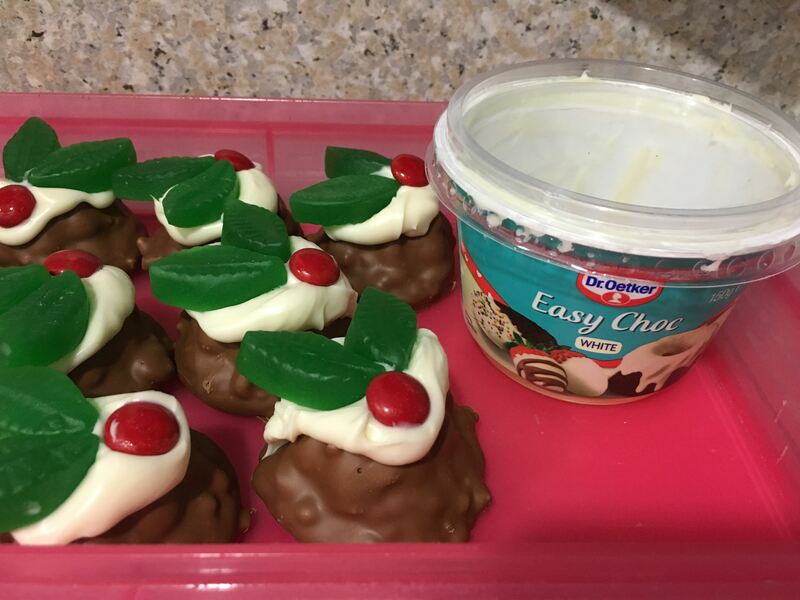 Simply melt in the microwave for 30 seconds and your pot of Easy Choc is ready to dip, drizzle and cover! Perfect for dipping fruits, marshmallows and pastries. 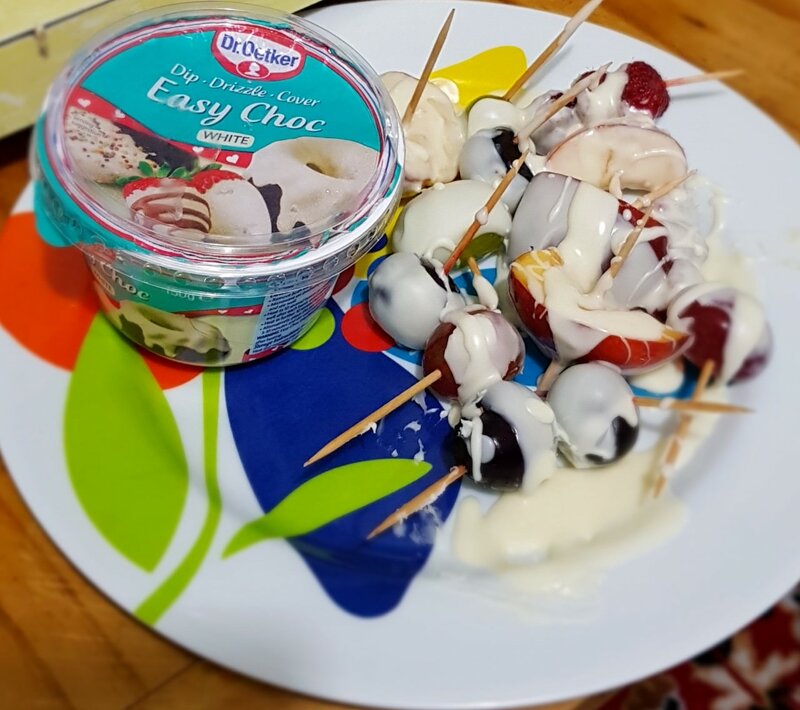 Easy Choc can also be used as a simple fondue for parties and celebrations. Best of all, unused Easy Choc can be reheated. Simply allow to cool in pot, replace the lid and store in the pantry. 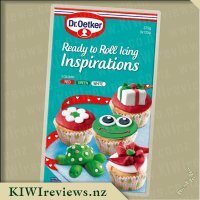 I like the ease that products like this advertise, especially when I have children who over the years have become increasingly interested in my making birthday cakes that actually look good... Sadly, I have tried products like this and they&apos;ve ended up either melting unevenly, burning, turning to liquid, tasting awful or having a horrible texture. I was curious about the fact that we could heat this up and then pop it back in the pantry, not the usual fridge, and how easy would it be to simply heat it up in less than a minute (30 seconds first shot, 10 seconds after as needed). I put it on for the directed thirty seconds and upon pulling it out, discovered it as rock solid as it was when it first went in. I opted for some caution and went for twenty seconds and it was still too solid. In the end, I needed to nuke this in the microwave for a total of a minute and a half to get it nice and runny. I was craving fruit and it was a chilly summers day, so I opted to dice up some nectarines, slice some bananas, halve some strawberries and throw in some blueberries and then let everyone have at it. For extra, I poured some sprinkles on a plate. This was an ease to use and once it had cooled down a little, it made a nice she&apos;ll around the fruit. My concerns about taste were unwarrented, this tasted delicious and it wasn&apos;t overly sweet either, it went perfectly with the fruit that we were turning into kebabs. It stayed nice and funny for a decent amount of time but also didn&apos;t leave huge drips everywhere, which meant less mess for me, yay! When it came to texture, this was lovely, there wasn&apos;t any plasticy feeling and no foul remnants. Once it hardened (after almost a whole plate of fruit) I popped it away and reheated it the next day, and it was just as nice. I can see us getting this again for sure. In my opinion everything tastes better covered in chocolate! Ever since I can remember I have always loved the flavour of chocolate - whether it is milk, dark or white chocolate. 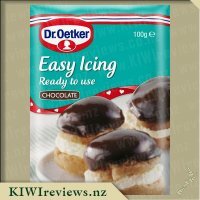 Whenever I have had to melt chocolate in the past for baking, I have always thought that the process takes a long time and it is quite easy to burn the chocolate (talking of course from experience) Upon seeing this Dr. Oetker Easy Choc available to review, I was keen to see if it was actually as easy as it sounded. When I opened my review goodies and saw the pottle I was excited and had a few ideas of how I could use the product. When I finally decided what I was going to do with the Easy Choc, I got the pottle and read the instructions. I followed the instructions but my microwave seemed to take twice as long as what the instructions stated. When the chocolate was ready to go I gave it a brief stir to make sure there were no sneaky lumps, I then picked up a freshly made cupcake and dipped the top of it into the chocolate. The cupcake was covered nicely and I quickly stuck some of my fondant decorations on top, the decorations stuck perfectly. When the chocolate had set which didn&apos;t take long, it tasted delicious. 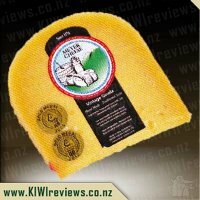 I would definitely use this product again, it was quick and easy to use, versatile, and is reasonably priced. I look forward to trying the other flavours in the range. 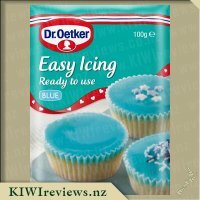 I love using Dr Oetker products as they&apos;re quick and easy to use and the epitome of convenience! 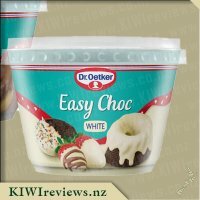 The Easy Choc White comes in a 150 gram container with simple yet detailed instructions. The picture on the front suggests you could use it for dipping fruit or covering cakes and biscuits so I thought I would get some strawberries out the garden and get dunking! One of the best things about this is that the chocolate stays in the container so there is no mess. After the initial 30 seconds of heating, I zapped it a few times in 10 second bursts and I got treated to a thick and smooth white chocolate. The added bonus is that if you don&apos;t want to use it all, you can just put the lid back on and put in the cupboard until you want to reuse it! Not wanting to &apos;double dip&apos; I spooned some out into a smaller container and dipped the strawberries in, mainly because it would give me an excuse to wipe my finger round the smaller container to try the chocolate! Firstly, the strawberries came out looking (and tasting) like a pro had decorated them and the chocolate left a lovely smooth texture on the strawberries. Secondly, the chocolate itself tasted as good as any white chocolate I&apos;ve tried! Smooth and thick and not too sweet. My daughter got a &apos;Chocolate Pen&apos; for Christmas and was wanting to mix her milk chocolate with some white chocolate to make some cool looking chocolate treats. Although she had been given milk chocolate for Christmas with the pen, we were short white chocolate until I remembered we had this in the cupboard. As the container was only half full, I didn&apos;t need to reheat for as long but the results were just the same. My daughter managed to pour the white chocolate straight out of the container into the molds and also had great fun blending the two different types of chocolate together. Once the chocolates had hardened and come out of the mold, not only did they look great, they tasted fabulous, so fabulous in fact that they didn&apos;t last long enough for photo&apos;s! I can&apos;t recommend this product enough and although you could go out and buy a bar of chocolate to use, this can&apos;t be beat for convenience, flavour and texture! Cooking chocolate made easy! Usually when I need melted chocolate for something I buy a block of chocolate and have to break it up, find a microwave safe bowl and then try to melt it evenly. All the time hoping no one has stolen the chocolate before I had a chance to use it. 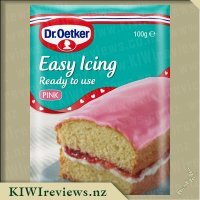 When I was given Dr Oetker&apos;s Easy Choc to review I hoped it would be an easier option. I selected the white choc version as I had plans to for it but was pleased to see it was also available in milk choc. The first thing I was pleased to discover is that I could melt it in the container (after removing lid and foil) in the microwave. This also meant that if there was any left over that I could simply but the lid on and put it back in the pantry for another day. I followed the instructions and it took 1 minute in total to melt the chocolate. It was a very muggy afternoon so I didn&apos;t want it too runny as I needed my creations to stick together. For the last few years my go-to bring a plate at Christmas time has been mallowpuff Christmas puddings. This involved putting melted white chocolate on a mallowpuff biscuit and topping with leaf lollies and red M&Ms. I found with the Easy Choc it was so much faster than previous years. In the past I have struggled to hold the puddings together in the summer heat. This wasn&apos;t an issue this year. Everyone enjoyed the Christmas puddings and they were gone so fast that I didn&apos;t get one. 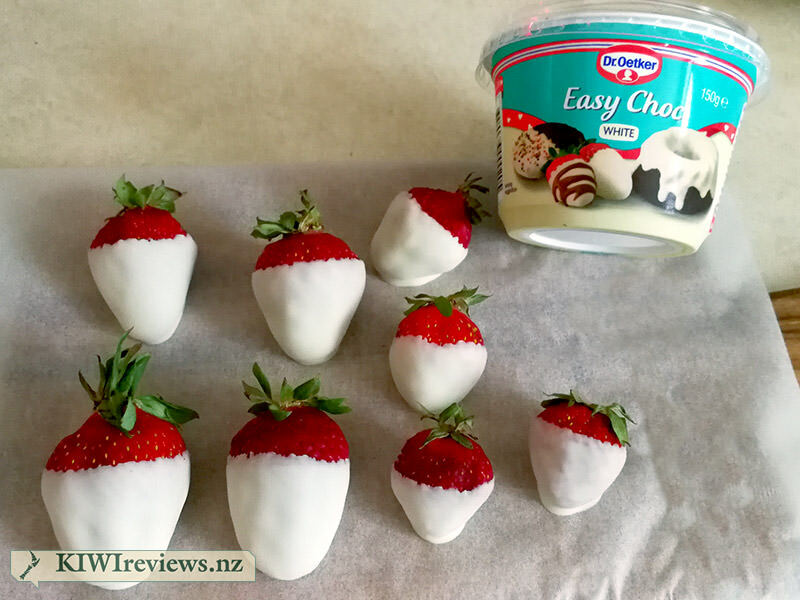 I was pleased to discover that the Easy Choc looked and tasted just like white chocolate. 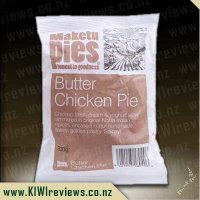 It is definitely a product I will be buying in the future and I will also be trying the milk chocolate variety. The other day I was on facebook and I saw an ad for this product. Well it was for the white and also the brown chocolate version - it looked so simple and gave different possibilities by adding sprinkles on top or coating it in the white chocolate and then sprinkling the brown chocolate over top. 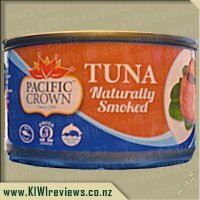 I thought wow what an awesome product and then I received my KIWIreviews box and I was more than stoked. As it is Christmas it is basically a sin to not have chocolate coated strawberries and really I dread doing the job as it can be rather messy, a pain to melt the chocolate and then it is the time consuming factor as well. So come Christmas morning I thought who better to do this job then my two girls while I prepare everything else. Reading the instructions it seemed nice and simple take foil and lid off, put in microwave and melt then dip the fruit in - basic. As our microwave is not a full power model I adjusted and went for 60% for thirty seconds - I expected it to be runny but it was still firm. I put it back in for ten seconds at 60% and still it was hard, this then continued for another 6 goes before I got it looking a little melted and then finally I got it runny - not as plain sailing as I was hoping for. 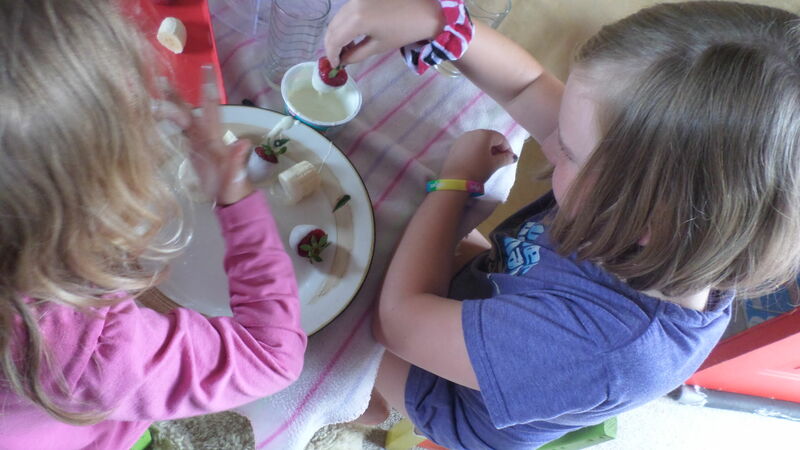 I gave the girls Strawberries, Bananas and Pineapple (on a stick from a can had used on the ham). They had a ball coating as they went and making a bit of a mess - I tried once and found it very simple. I did note if you just dipped and pulled out it was not as thick as I would of liked so I got the girls to repeat a couple of times. Then the fun part sprinkling sprinkles on them. 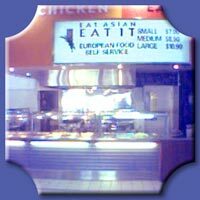 We put the finished products into the fridge for dinner that night. After returning from the beach and bringing more sand home than you would think is humanly possible we sat down to have some yummy white chocolate coated fruit. Although entirely not the products fault we found the bananas were brown and (granted was pineapple from the can so was a little wet) we found the pineapple was not fully coated either. But as for the strawberries they were delicious. We still devoured the rest of the fruit and we all agreed that it was yummy. Honestly, besides the time needed for melting it in the microwave we found this so simple and so much fun. I did learn afterwards, that they ate a lot straight from the container because they kept getting it on their fingers - but hey its Christmas. Being able to add the sprinkles gave it another element and when I said there was a chocolate version both girls started pleading to try that one as well. 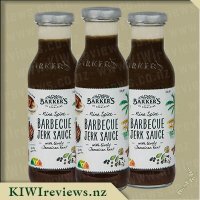 For the price it is an awesome product and definitely one we will be having again. I love white chocolate! I can do without milk chocolate, but white chocolate is something else indeed - it is something to be had on special occasions. We had a gathering of friends planned for a holiday get-together, so I told everyone we would be having a special pudding and to leave room for it. The group included both adults and children, all chocolate lovers, so although the blurb on the container assured us that leftovers could be stored for another day, I was pretty sure there would not be any. We heated the chocolate in the microwave. Having already tried another Easy Choc in this range, I thought it would take 30 seconds as the first one had done, but this one was not quite ready so we zapped it for a further ten seconds. That produced a perfect dipping consistency so everybody was lined up with pieces of fruit and gingernut biscuits ready for coating. We had a variety of summer fruit including nectarines cut into chunks, strawberries (of course), and grapes. The idea of including gingernuts was the brainwave of one of the teenage boys. I think we should have ensured the chocolate coated one half neatly, but there was nothing neat about our efforts. Oh well - it tasted divine! We did not get to dunking in a hot drink but the boys assured me that would work. I am not so sure! I managed to salvage some of the chocolate before it all disappeared as I wanted to try it on some hokey pokey ice cream. 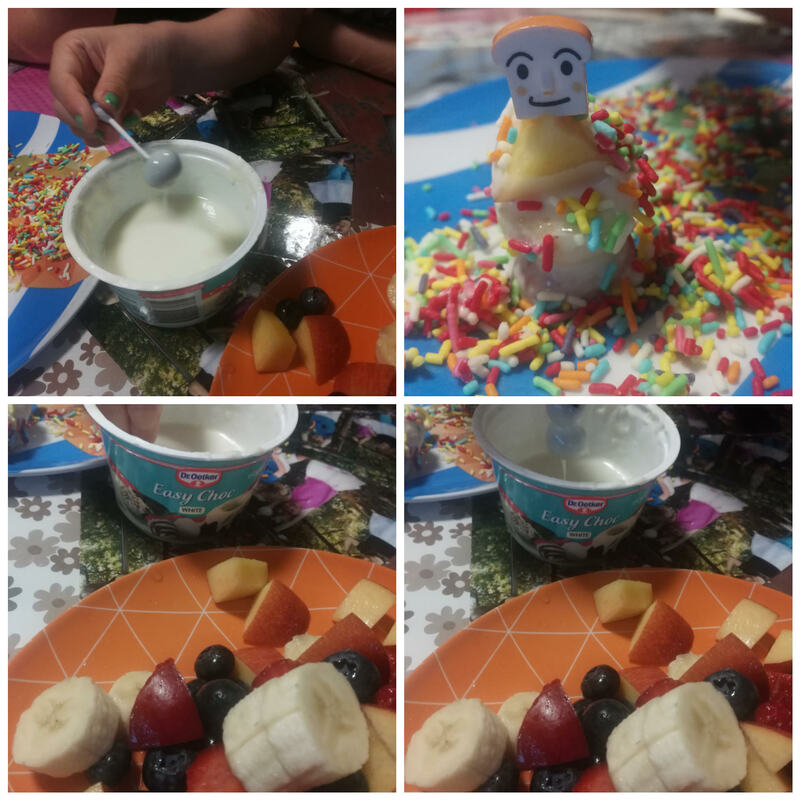 We had some pistachios and crystallised cherries as well, so the boys decorated their ice cream with the melted chocolate and then added the other ingredients. It was served in plates rather than in a cone as we had run out, but it was delicious all the same. Afterwards, one of the boys ran his finger round inside the container so he could rescue any chocolate that remained. As I had predicted, there was not the slightest trace left once we had gone through the repertoire of fruit dipping, ginger nut dunking, and ice cream decorating. Not one person had anything negative to say; they all loved it and wanted to know where they could buy more. Some of us are off to the beach for the summer so we hope to pack a container or two along with the obligatory apricots plus marshmallows for the camp fire. 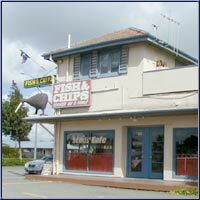 There is nothing like a swim to put you in the mood for some comfort food. I love chocolate of any kind, and in any way, shape or form so when I saw the Easy Choc come up for review I knew that this was a product which I was just going to have to try. I often find myself needing to melt chocolate be it for adding to a recipe or for using to drizzle, dip or decorate items in which can sometimes make for a very messy or unsuccessful, time consuming process as I often find myself over cooking the chocolate in the microwave or getting water in to it, wither way it never really seems to go as planned. The White Easy Choc seemed like a &apos;to good to be true&apos; product, I mean could I really melt some chocolate without any issues? The answer is &apos;yes&apos; with Easy Choc I can! 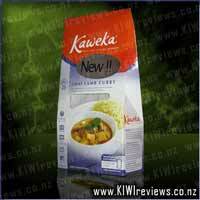 The steps were so simple all I had to do was simply take off the plastic cap and then peel back the foil and simply pop the little container of solid into the microwave and heat first for a 30 second period followed by 10 second intervals, stirring between each one. For me the total heating time was 1 minute 20 seconds, but this may change depending on your microwave. If you don&apos;t have a microwave no need to panic as there instructions for melting the Easy Choc over boiling water too. Once melted the White Choc was smooth and glossy and of a really nice consistency perfect for dipping. Prior to melting the chocolate Miss 4 and I had gathered up a variety of items to dip which included strawberries, chopped banana, bite sized pieces of chocolate brownie and marshmallows. Dipping them was easy and fun and Miss 4 had a ball doing so, we found that the chocolate setting very quickly and that by placing the dipped items on a ice cream container lid they were easy to peel off and didn&apos;t stick at all. Even though we had dipped a lot of items we found that the chocolate went along way so I was pleased to read that the chocolate could be reheated and melted again as I wasn&apos;t really sure how to use it up in one go. The chocolate tasted great and was a very nice creamy flavour which made our yummy treats even more divine. We shared these with family who were visiting and everyone loved the taste. With Miss 4&apos;s kindy Christmas party coming up later this week we are planning to make a platter with similar ingredients to those listed above to take along dipped in both the milk and white Easy Choc varieties. I would totally recommend this product and it is one I would love to use again myself, so easy to prepare and great to work with and perfect for getting to children to help with, a 10/10 for me. When this arrived for review, I immediately jumped at the chance to do choc-dipped strawberries. 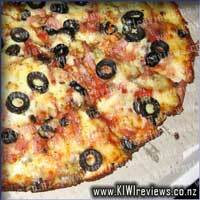 Whenever I have tried it in the past - using regular choc chips or drops - the results were less than ideal. Possibly due to the temperature - untempered chocolate can get quite hot, and dump the heat into the soft fruit very quickly. I know I&apos;m probably making some utterly-rookie mistake that is causing that, but it&apos;s the only &apos;benchmark&apos; I have as a keen beginner chocolatier. The instruction on the pack are in very small writing, and even with my new reading glasses I had some trouble, but common-sense and the quick blurb above would have it as "remove clear lid, remove and discard foil, microwave gently for 30 seconds, dip your stuff and put it aside to set, replace lid, store leftovers." I gave that a go, and failed. After 30 seconds on medium power, the choc was still a solid lump in the container. This really surprised me, since it was a hot day. I gave it another 30 second blast, this time at full power, and had some partially-melted choc and a big lump that was still solid. Throwing caution and common sense to the wind, I popped it back into the nuke box and zapped it for a further minute on high... success! I had a wonderfully liquid chocolate dip ready to go, and it worked very well. From the image linked, you can see that the bigger strawberries appear to have a thicker coating - that&apos;s because they were at the bottom of the punnet so got dipped last, and by then the choc had started to cool off and thicken. This is handy to know if you plan to use this as a fondue. Flavour-wise this was quite tasty. I usually find white chocolate to be sickly-sweet or to taste a bit plastic, but this was a nice balance that made it a great partner for the fresh strawberries. I am thinking I may buy some cranberries and try those. I adore the flavour, and the tartness of the berries would be nicely offset by the mild sweetness of this choc dip. I also want to try this drizzled over ice-cream, something with a bit of a kick to it. I recently tried a really nice batch-made gingersnap ice-cream that I think would pair up beautifully. Overall, a delightful product that, despite the longer-than-expected melting time, made a great job of the dipped strawberries. This is the first time I have have found myself pleased with a smooth finish. 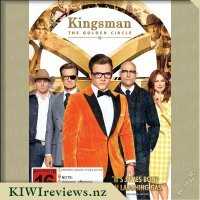 Because, at this stage, there is no confirmed retail price, I&apos;ve had to "guesstimate" with the "price" and "value for money" scores. Lefty's the kinda guy that's always got a card up his sleeve. 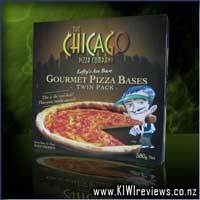 When his cupboard is bare and the crew are around for a game he always grabs a Chicago Gourmet Base and clears out the fridge, making his famous Lefty Leftovers Pizza. It's become a family legend - it could be yours too.